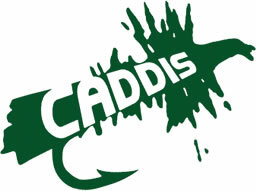 If you are serious about waders then Caddis is for you. Caddis designs and manufacturers high quality products for any wading situation. From breathable to neoprene, bootfoot to stockingfoot, Caddis has got you covered. They also make a nice line of wading shoes and boots for both men and women. The people who work at Caddis are anglers, just like you, and have created products to meet the needs of ardent fishermen. If you need to stay dry while fishing, give Caddis Waders a try. You won't be disappointed.